During the holiday season we take a lot of photos with our families to treasure the moments. We will also be taking Christmas photos to place on Christmas cards that will go out to your family and friends. What do both of these scenarios have in common? Cameras that have flash photography. The worse thing that can happen is that you get the pictures back and you have a white cast a.k.a the Casper! Now you look like Casper (the ghost) and it is too late to redo the pictures. I hope this has not already happened to you. Short story: Five years ago before there were tones of information on the Internet about makeup I made this big mistake and was a victim of the Casper! Yikes, it still scares me when I think about it. That is when I started trying new foundations and found 2 that I could not live without....now there are 3 that are my favorite. As you can see she has a white cast underneath her eyes when the camera flashes on her skin. Yikes Eva Mendes! This "white cast" can come from your foundation, concealer or powder. 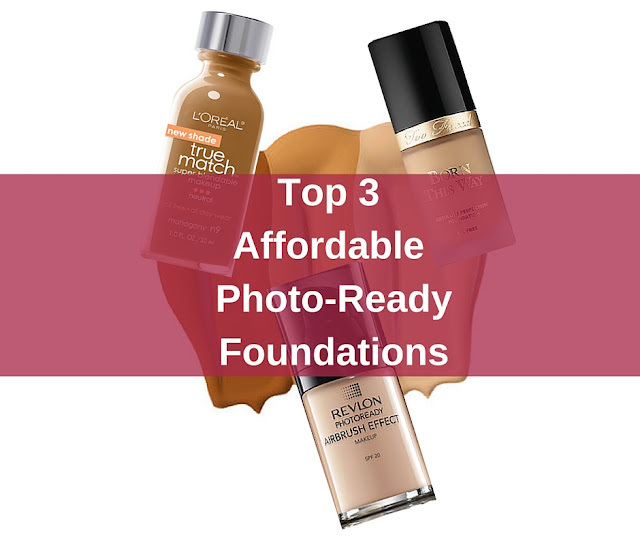 I recommend using the Top 3 Affordable Photo-Ready Foundations below to prevent the Casper look. 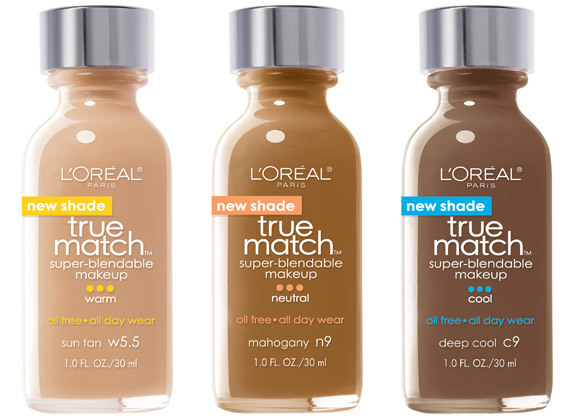 L'Oreal True Match Foundation is perfect for beginners and pro makeup artist. It is the only drugstore brand and foundation with over 20 shades, so no worries on picking the wrong shade. 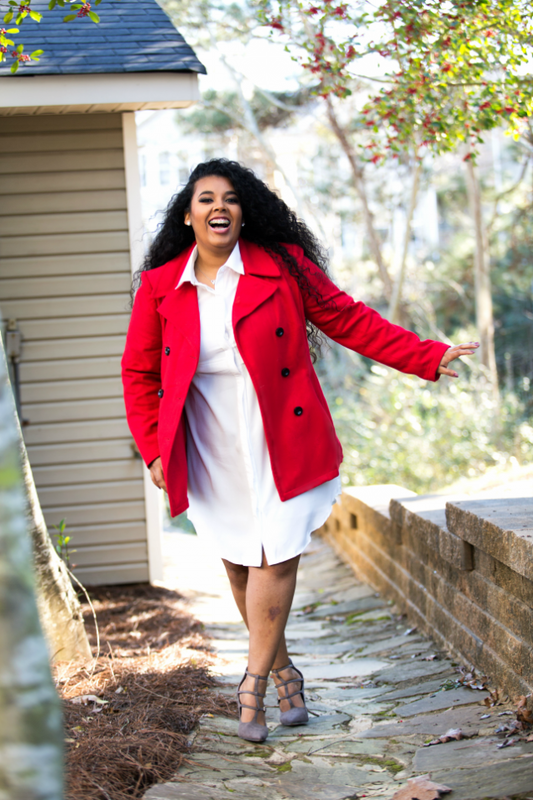 It is perfect for all skin tones and types. Did I mention it is amazing for flash photos? This is my go to foundation for taking photos and for everyday. Use a beauty sponge or foundation brush to buff for photo ready skin. 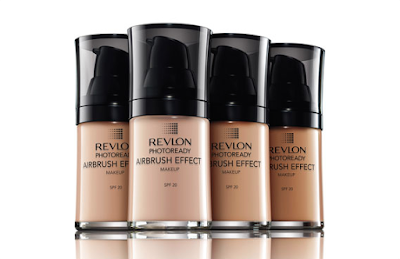 The Revlon Photo Ready Foundation can be a little scary to use if you are new to this foundation. The formula is designed to give you an air brush look and leave your skin feeling silky. However, it has been known to leave the face looking cakey and feeling tacky. This is due to the foundation is being applied to a dry face rather than a primed or moisturized face. I highly recommend using a misting spray on your beauty sponge when applying this foundation to achieve the airbrush look without the cakey or tacky finish. 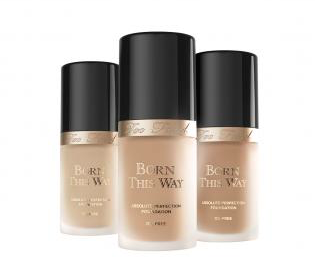 Last but not least, it is the AMAZING Too Faced Born This Way Foundation. Lets take a moment of silence for this magical foundation...........! This foundation was born for flash photography! If I am not using my holy grail L'Oreal True Match Foundation I am using this magical foundation. It leaves your skin feeling light but covered to perfection. It wears all day and with a little bit of oil added to the skin (add oil for dry skin) before application you are ready for Christmas pictures, parties and selfies! I recommend applying this foundation with the Real Techniques Miracle Complexion Sponge for flawless coverage. I LOVE the L'Oréal True Match. I am really thinking about adding those foundations to my kit. Great post!